Conjunctivitis or pink eye is one of the most common childhood infections. When one child contracts pink eye they can easily pass the infection to other children and family members by touch and sharing towels, wash cloths and bedding. Some infections are caused by bacteria, but most are due to a viral infection. Pink eye is most often caused by a viral infection, but other causes include chemicals, allergies and fungus. Newborns can contract pink eye during delivery due to bacteria in the birth canal. While most cases of pink eye will heal naturally, most parents seek out medical attention to speed up the healing process. Pediatricians will most often prescribe eye drops. 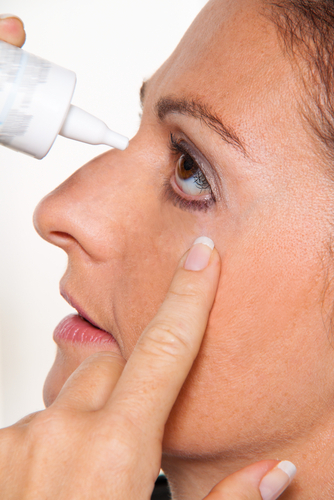 Eye drops should be placed in both eyes to prevent the spread of pink eye if only one eye is infected. If there are multiple children in the home, some pediatricians will prescribe drops for other children to prevent infection or treat infection if pink eye develops. Warm compresses may help soften the crust that appears on eyelids. If your child is experiencing pain, your pediatrician may suggest over the counter pain medication like acetaminophen or ibuprofen. Viral pink eye cannot be treated with antibiotics, but most pediatricians will assume the condition is bacterial or treat the condition as if it were bacterial. Viral infections can lead to bacterial infections if not treated. Pink eye is highly contagious. Children may miss a few days of school to minimize spreading of the condition. It is important to wash all bed linens in hot soapy water; with bleach if possible. Children with pink eye should not share soap, wash clothes or bed space with other children until the infection is healed. Pink eye is not a life-threatening condition, but it may leave your child uncomfortable for several days. As the primary caregiver, you need to use good hand washing practices to prevent spread. Wash hands before administering medications and immediately after. Adults can develop pink eye just as quickly as children, so avoid contact with pus, mucus, tears and crust as much as possible. Infants with pink-eye should be treated immediately after symptoms are noticed. If pink eye goes untreated in infants, the condition can lead to blindness.